Property Moose is one of the UK’s largest Property Crowdfunding platforms. I’ve reviewed them in more detail in this review and they continue to be one of my largest personal P2P/crowdfunding investment platforms. I spoke with the founder, Andrew Gardiner, on a new type of loan investment they’ve just launched. Most of the investments to date on Property Moose are equity investments in individual properties (‘SPV’s). A few of the more recent investments were split into an equity part and a loan part. The equity investors took on more risk, but had the potential for higher returns. 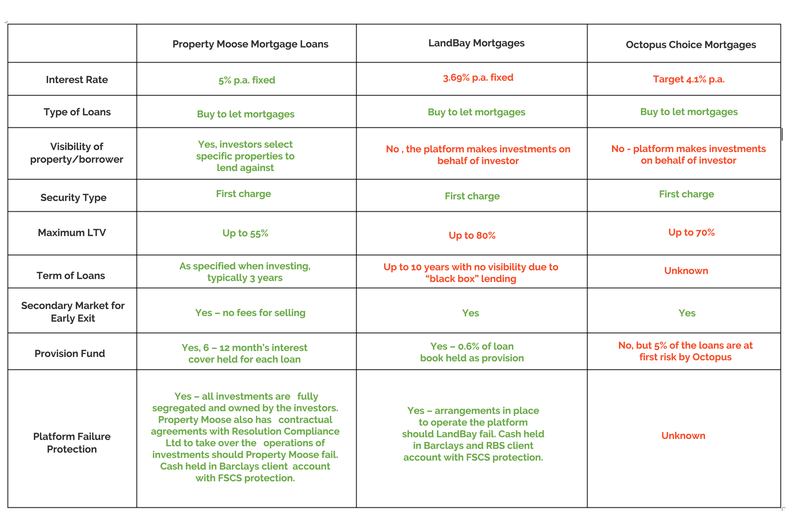 The loan part investors had a fixed rate of return but were first in line to get back their capital. For the equity part investors, their property investment will be leveraged with the 50% mortgage. So, if house prices rise 10% their share would theoretically rise 20% (subject to fees). On the other hand, if house prices fell, they would lose more of their capital. I asked Andrew if there would be any platform fees on the loan-part. He told me that there will be no fees for the mortgage lenders but there will be a finance fee on the SPV of 2% (paid for by the equity investors which will cover putting in place all of the loan documentation). Andrew added that this is a normal cost of borrowing money and that they have tried to make it as similar to bank borrowing as possible. Interest to Investors: fixed 5% net p.a. As part of the initial fund raise, the SPV will hold 12 month’s interest cover on account as the property is undertaking some renovations (expected to last around 3 weeks). This is to cover any void periods and ensure the interest can be paid. I’ve seen Resolution Compliance linked to Rebuilding Society, Growth Street and now Property Moose. Have you researched their role in P2P?